Counter Production were one of the first companies in the UK to be awarded the Quality Network and Quality Club Fabricator status by DuPont and Hi-Macs. We have over 30 years of delivering on our promise. Our Guarantee to be Materially Different™? We are Responsive – we aim to provide a same-day quotes service and we will always return your calls. We are Proactive – we’ll give you advice, analysis and solutions if you have problems with your Solid Surface designs. We are Professional – our Fitting Teams are fully trained, insured, wear Company uniform and drive liveried vehicles. We are members of the Corian® Quality Network, and Hi-Macs® Quality Club. We are Accountable – for over 30 years, we still stand behind every project we have completed in that time. We are Dedicated – we genuinely love Solid Surface and will do all we can to help you achieve perfection in your Solid Surface projects. For more information on how Counter Production can guarantee the delivery of your next project see what our customers say. Why choose a Quality Network Fabricator? Highest quality of fabrication. Corian® Quality Network is a fundamental ingredient of the global success of Corian®. The “Corian® Quality Network” is an international system created by DuPont to optimize the delivering of the beauty and of the performance of Corian® high-tech surface to the market, to transform the potential of Corian® into reality. It includes companies – industrial partners of DuPont – that are able to help consumers, architects, designers and industries to extract the highest value from the performance and the properties of Corian®. 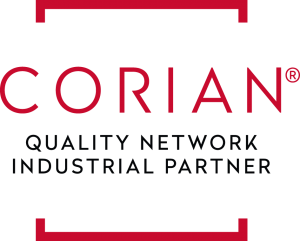 The “Corian® Quality Network” is a premium group of industrial partners of DuPont. Dealing with a member of the “Corian® Quality Network” means counting on state-of-the-art training and knowledge in terms of fabrication and installation. It means dealing with people that are used to manage complex tasks, dealing with companies supported by the know-how of DuPont and whose creations and installations are associated to a official ten-years warranty of DuPont. HI-MACS® is an outstanding solid surface material. A delicate composition of acrylic, minerals and natural pigments that combine to create a smooth, non porous, thermoform-able and visually seamless surface. The material meets the highest standards for quality in all aspects: material performance, fabrication, functionality and hygiene. Thanks a large part to this quality and the outstanding flexibility in fabrication and design, HI-MACS® offers countless advantages over conventional materials. Quality is an excellent network of highly skilled craftsmen. Our highly skilled fabrication partners enjoy regular training to provide you with the best possible product. They have access to the best in class training material and support. 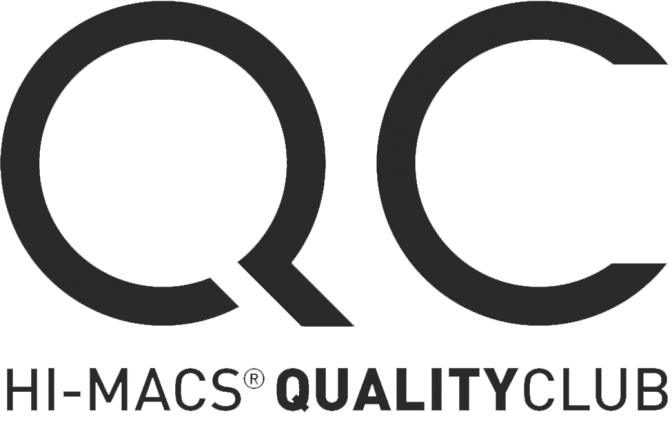 The most skilled fabricators of HI-MACS® are easy to identify as they are certified members of the HI-MACS® Quality Club. Counter Production have been members of the Quality Club since its inception. Quality is the longest warranty in the market. We support our Quality Club Members with a 15 year warranty. The longest warranty in the solid surface market.